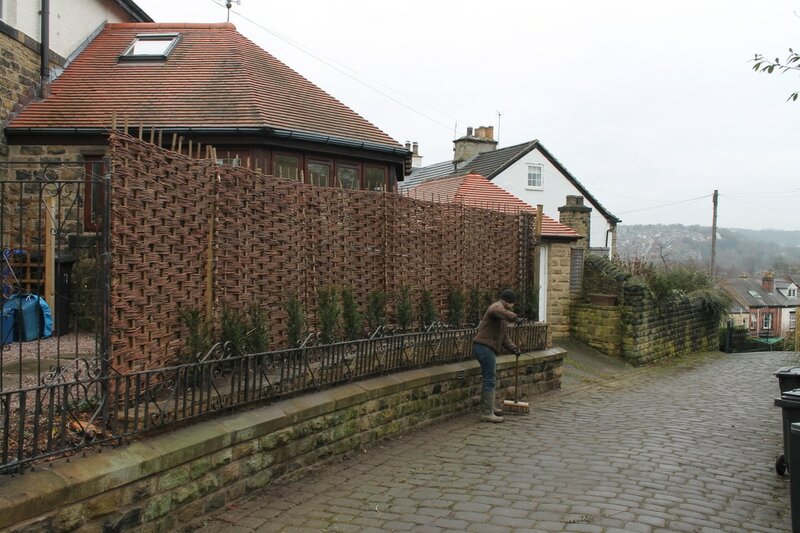 Large garden hedges are great for keeping privacy and noise reduction but they need some maintenance to keep a good shape and prevent it from growing out. 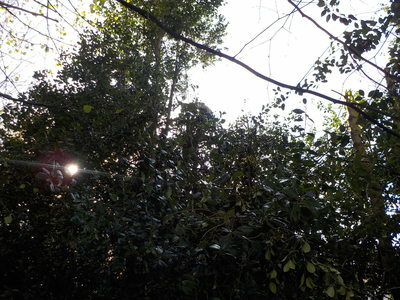 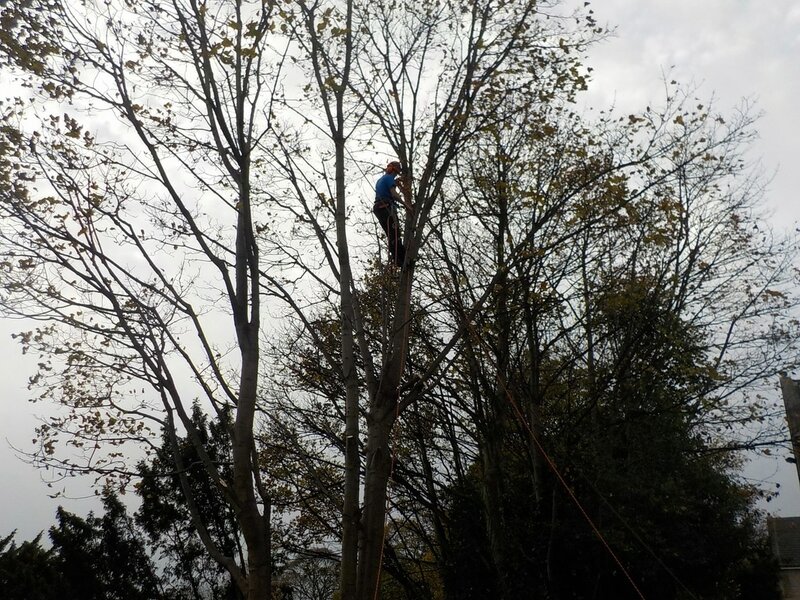 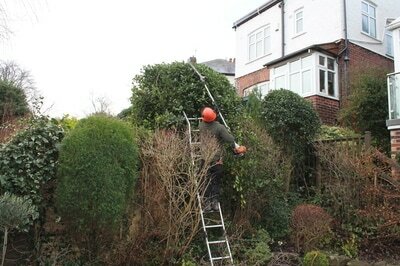 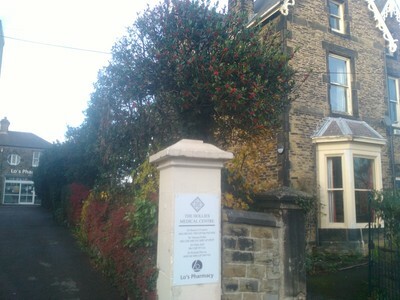 Hedges well above 6 ft will have to have the top reduced with a chainsaw by means of a long ladder and rope access work. 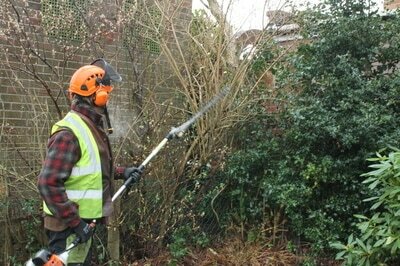 We have powerful petrol based tools in order to create a square clipped hedge. 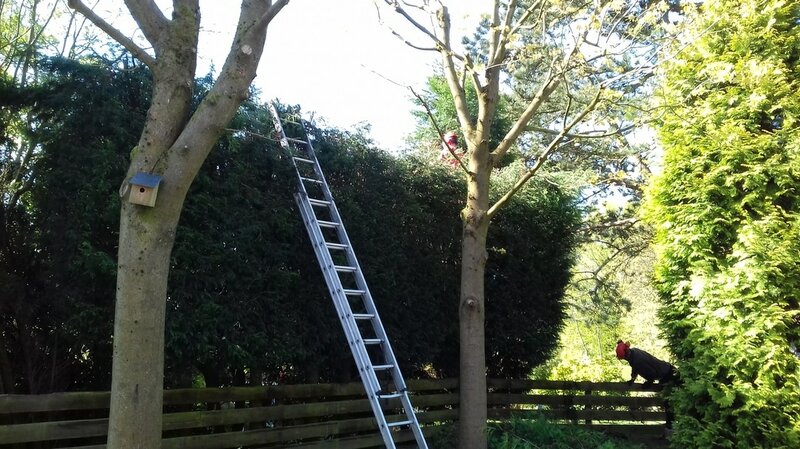 Large hedges will generally have to be accessed by a climber; this is the only safe and sensible way to lower a very large hedge. 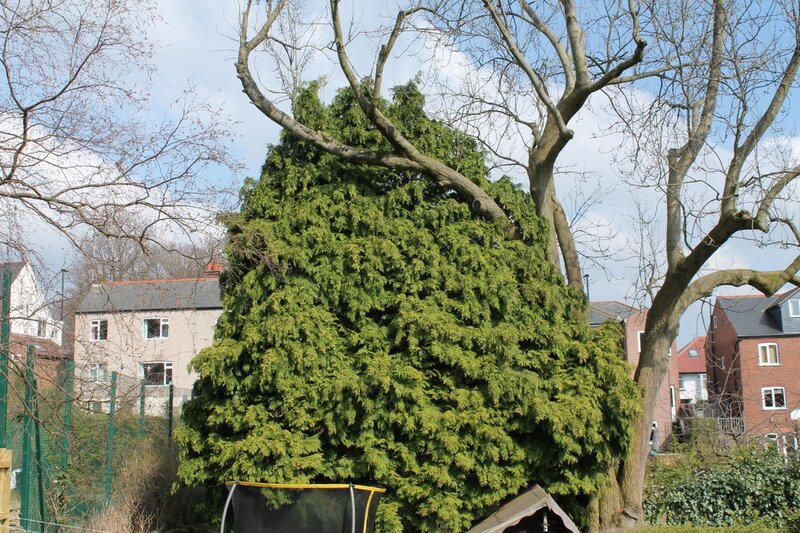 Many species of conifer can grow rapidly, putting on a lot of foliage and engulfing trees. 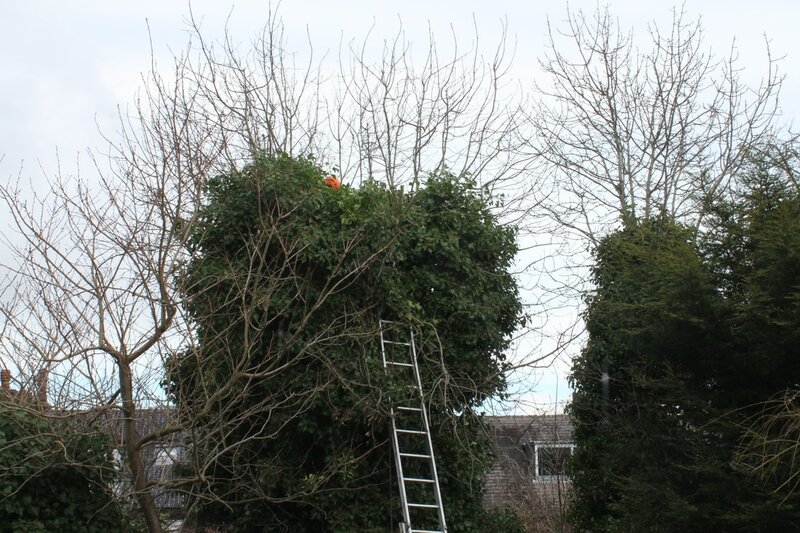 This had happened in the back garden below and by using the tree as a climbing point we could lower the height of the entire hedge and square off one side with chainsaw. 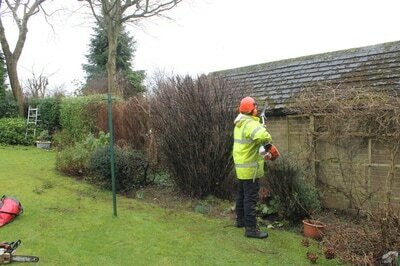 Overall it looks much neater and improves the whole garden. At certain times of year shrubs may need trimming or pruning to keep them under control or maintain a shape in the case of topiary bushes. 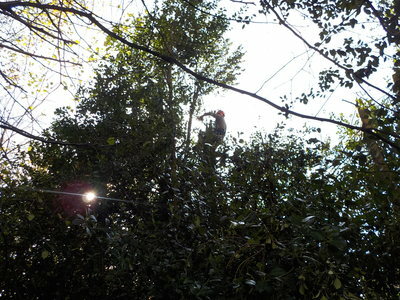 Hedges that have severely grown out of shape may be brought back into being a manageable hedge depending on the species. 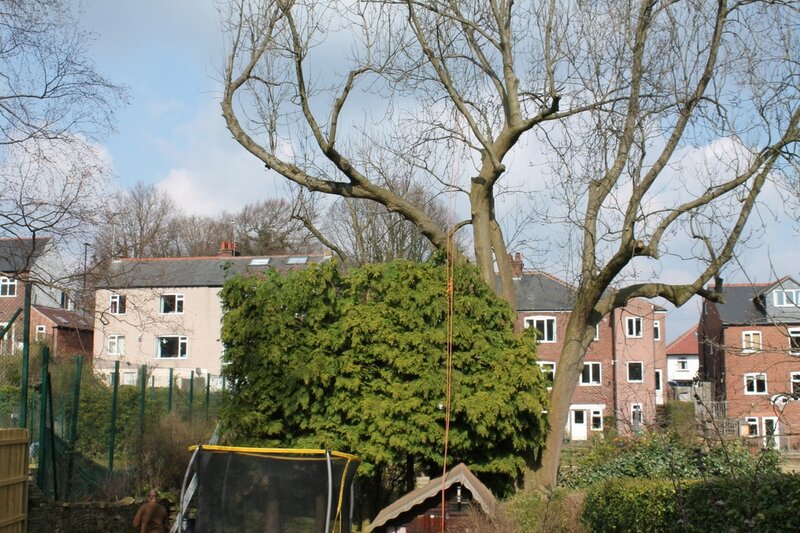 Over several years it can be re-shaped and kept to the right height. We are experts on what to do with all the different types of hedge such as conifer, laurel, yew, holly, beech, thorn and other species in terms of how the hedge is to be shaped or pruned and what is best for the health of the species. 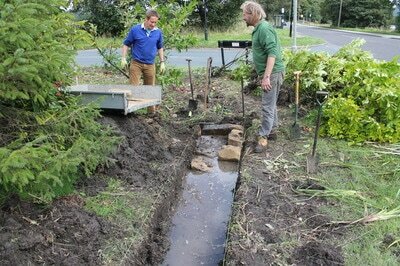 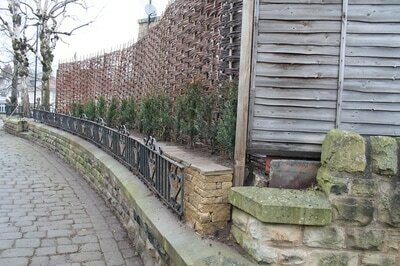 We can also order and plant up new hedges. 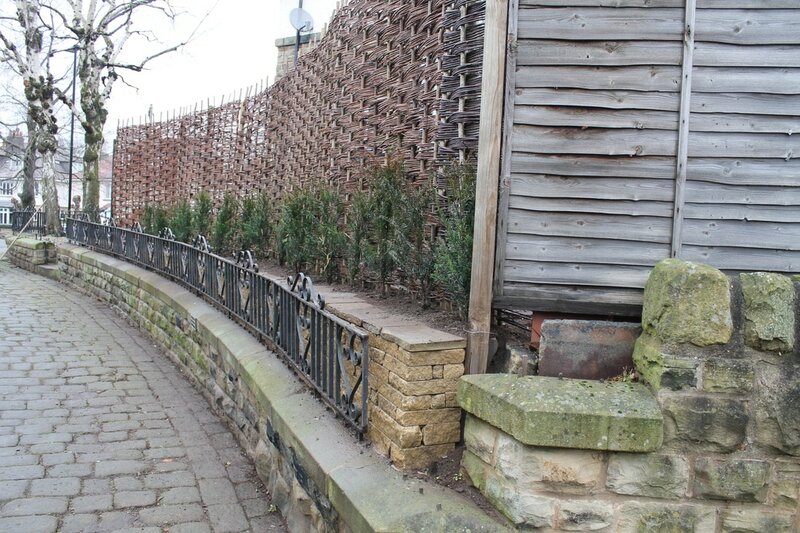 In some cases, a hedge may not be growing well in a particular situation or season and it may end up having to be removed and replaced as a boundary. 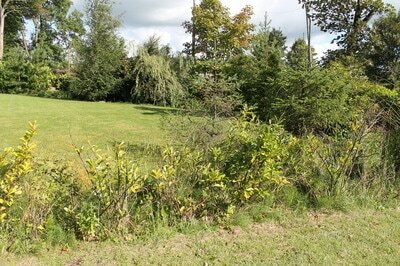 There may be problems with certain diseases, drought stress, fire damage, root damage or other issues. In the case of this cherry laurel hedge (prunus laurocerasus) near the peak district, its roots were severely waterlogged as it was growing on an underground stream. We winched out the hedge and replaced it with a dry stone wall, which has excellent drainage properties. Along the side of this property was a conifer hedge that had become very dense. 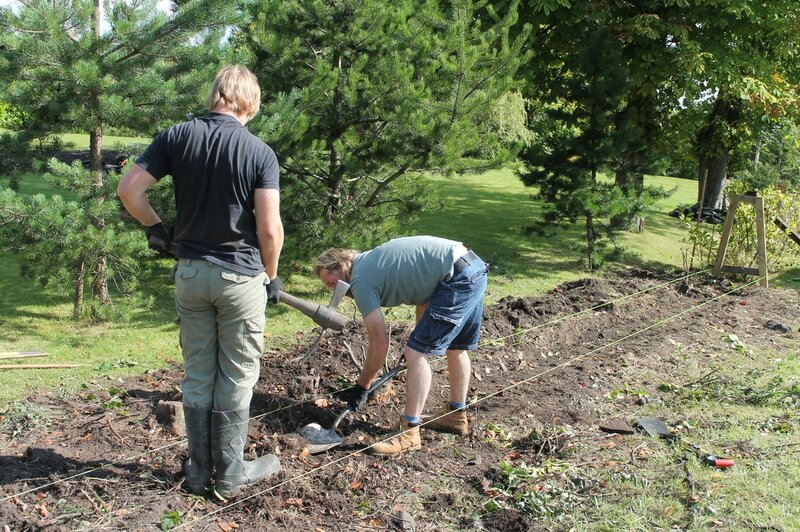 We cut down the conifers to ground level and built a small stone wall to the front of the stumps so they could be filled over with topsoil and the stumps allowed to rot, which is an effective alternative to stump grinding. 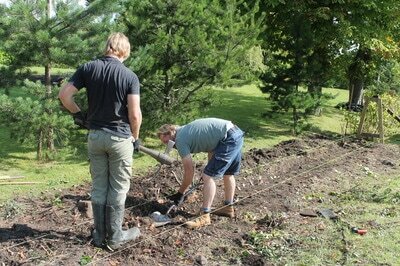 Between the old stumps we planted yew saplings, ordered from a nursery. 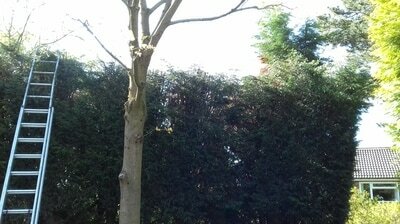 Yew grows much more slowly and is easily kept to a lower hedge. 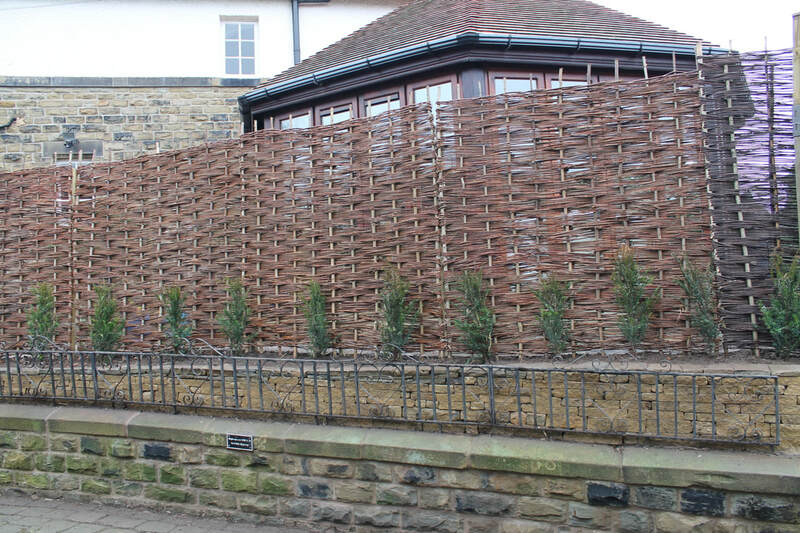 In order to maintain privacy as the yew grows, we also erected a willow fence that is attractive and allows the wind to blow through rather than causing damage as may occur with panel fences.